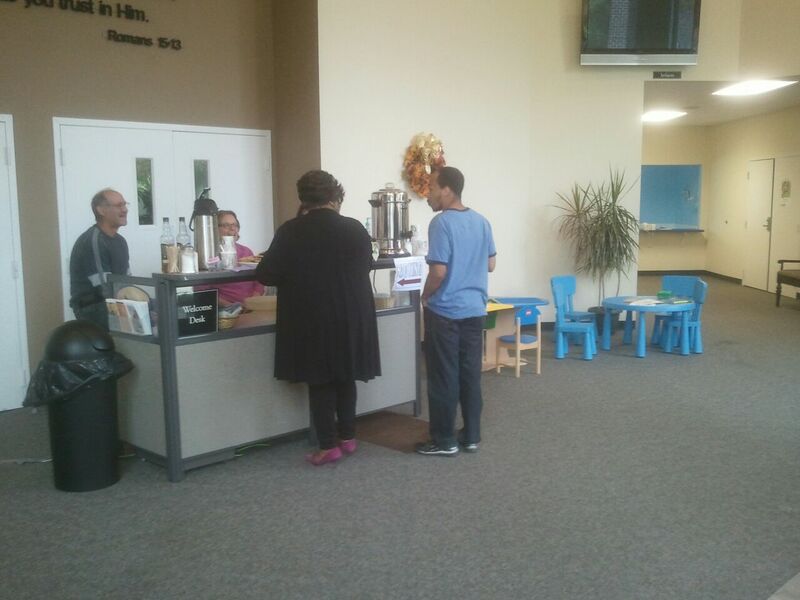 GraceConnect » Loving the Neighbors in Richmond, Va.
Loving the Neighbors in Richmond, Va.
Community of Grace, a Grace Brethren congregation in Richmond, Va. (Dave Kennedy, pastor), provided coffee and treats this week to individuals who came to vote at the precinct in their church. Community of Grace Church, a Grace Brethren church in Richmond, Va., served as a polling precinct for local voters in this week’s election. Pastor Dave Kennedy reports how they took advantage of the opportunity to show love to their neighbors. The past three years the congregation has used the opportunity by providing a welcome and treats to each person who enters. This past election, 837 individuals enjoyed 62 pots of coffee and many desserts made by the congregation. God provided several opportunities for conversation and encouragement to take a free Bible or devotional. Two families returned the next night with their children for our Awana ministries. Others are interested in visiting our church because of our friendliness and our invitation. One volunteer remarked, “We would be wrong not to practice hospitality when God is bringing so many right through our doors!” We praise God for this simple way to show the love of Christ to our neighbors!